If scrolling upon a “420 Friendly” online dating profile is an immediate turn-on, then this handy dating guide is for you. Now that we live in an *almost* legalized California, seshing and sketching is the new Netflix and chill for bud-loving bachelors and single sativa divas. As a former Los Angeles budtender, I have helped everyone from Kevin Smith to your grandmother pick the best weed for the moment. I also know, contrary to popular belief, that not every stoner stays glued to the couch—especially when they’re on the prowl. So, next time you swipe right on a bong ripping babe, take notes from my own secret stash of stoner-friendly dates and you’ll be a cannacouple before you know it. In Amsterdam, you go to a cafe for coffee and a coffee shop for cannabis. Hitman Coffee Shop in LA is taking notes as it introduces its own new coffee shop and glass gallery concept. The impeccably clean glass dab rigs dotting long wooden tables and the outdoor patio and koi pond will impress any date. This is a 21+ establishment mostly utilized for special events and openings. Essentially, this is Soho House for stoners. 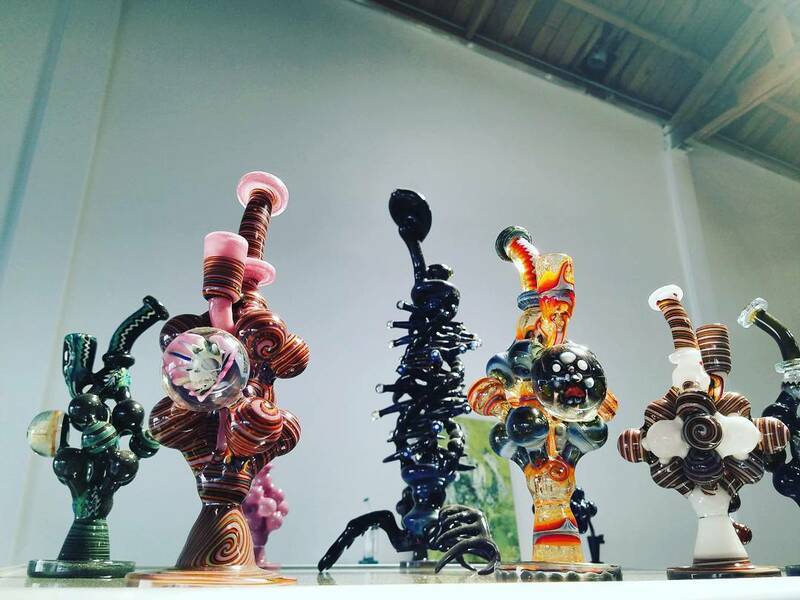 Hitman Glass founder Dougie Fresh also has on display much of his personal collection of glass pipes you won't find anywhere else, including a glass fruit collection. Painting sounds fun, but have you ever tried it on weed, man? 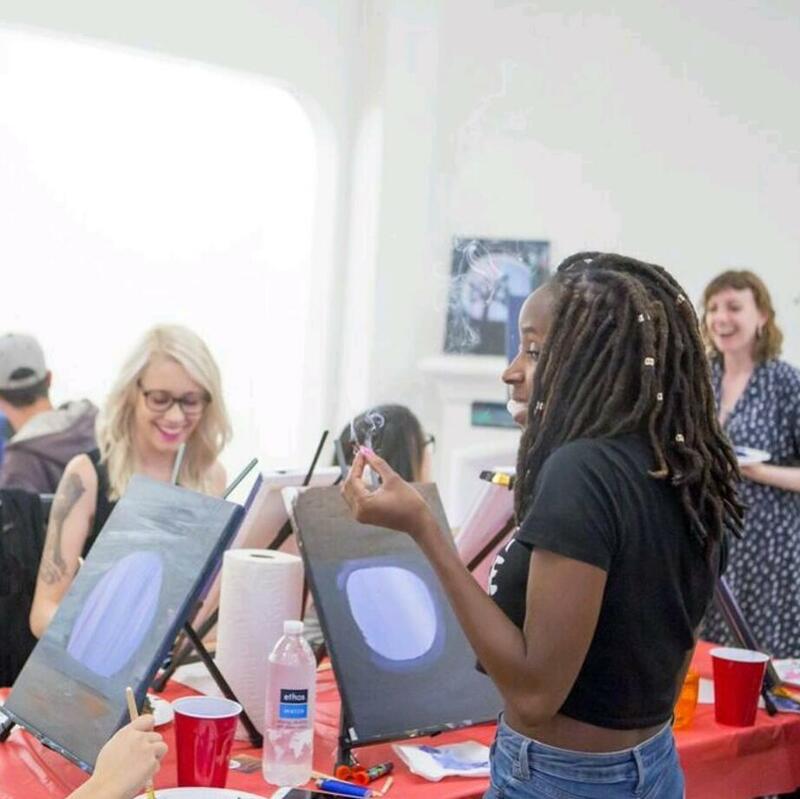 Dank Canvas elevates the idea of an amateur painting class to new stoney heights by offering a safe space for dates to get high. It's super low-key and probably won't be the first time you get high with your art teacher. Pizza and potheads go together like Cheech and Chong. 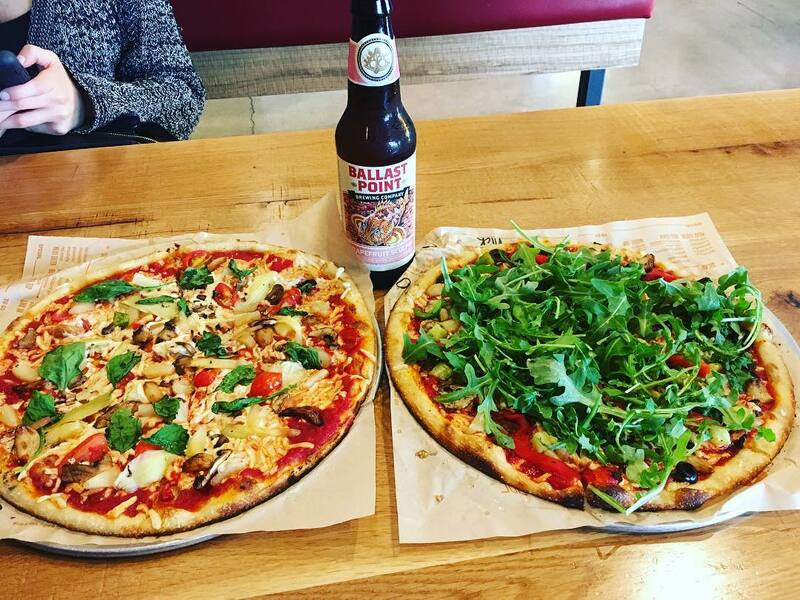 But LA's plethora of pizzerias can be daunting to the medicated mind, which makes Blaze Pizza a perfect place for first dates with different palates. This Chipotle of pizza offers a “Build Your Own” pie option that gives you unlimited toppings, which means you can show off your creativity with your six-cheese artichoke and bacon pizza topped with BBQ sauce drizzle. Puff up beforehand to keep your appetite adventurous and your conversation complex. A stoner's natural habitat is either her mom's basement or out in nature. 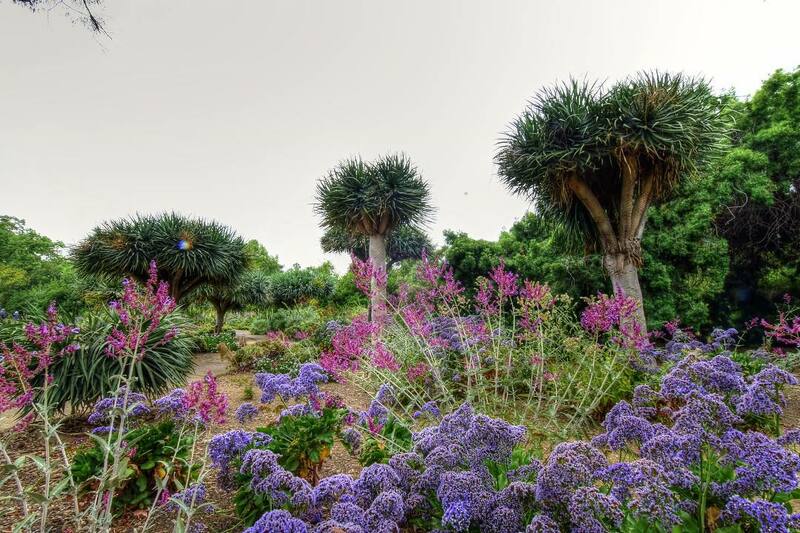 But getting lost in the woods never led to a second date, which is why the LA Arboretum is the perfect no-hassle hike option for anyone who loves seeing, smelling or smoking trees. Ask your date about his favorite books and films while hiking the 127 acres of foliage from around the world. Sneaking into a grove for a quick vape hit and a smooch never hurt Mother Nature. Happiness is breakfast food and empty dispensary canisters. 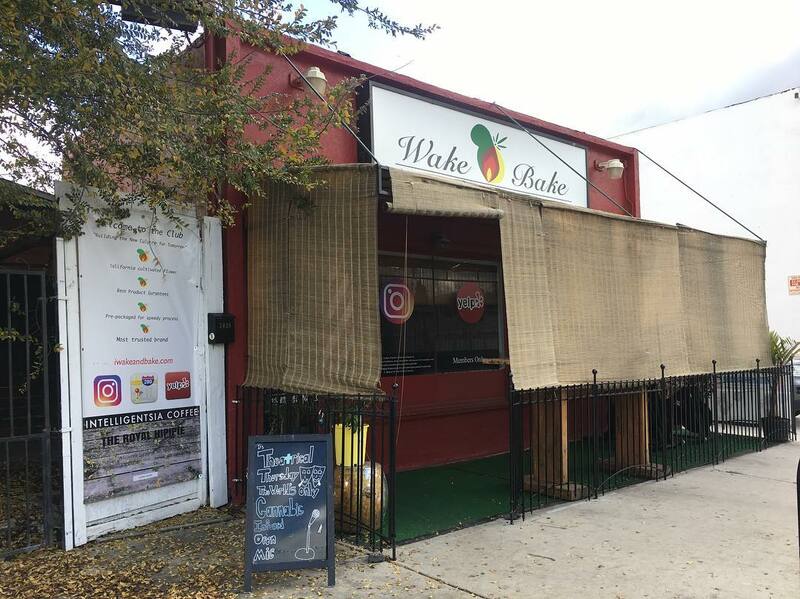 All roads lead to the Wake & Bake Breakfast Club, another example of a coffeeshop with more on the menu than mochaccinos. It's members only, but a day pass is only $10 and includes Intelligentsia coffee, breakfast and unlimited wifi. Want the VIP treatment? Opt for the monthly Black Card membership to gain access to the backroom dispensary, which boasts $25 eighths. Hello, that's a killer deal! If laughter is the best medicine, cannabis is a close second. 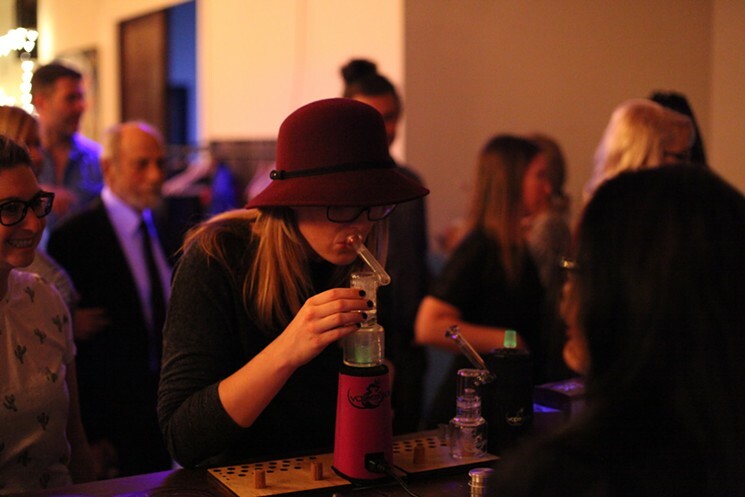 Thankfully you and your date can medicate with both at the HeadRoom Gallery, one of the city's first hotboxable comedy lounges. It's BYOW, but the laughs are free. And don't worry if you left your stash at home, the HeadRoom Collective is a connected dispensary, making this a two joint minimum affair. #tokesnjokes till death. Dating in the LA cannabis community means you meet a lot of healthy, granola-loving gurus who might take offense to your Animal-Style Double-Doubles and supersized wet burritos. Thankfully, both stoners and vegans can come together in perfect harmony at Gracias Madre. You'll be halfway through your entree before you hazily realize that there wasn't any meat on the menu! 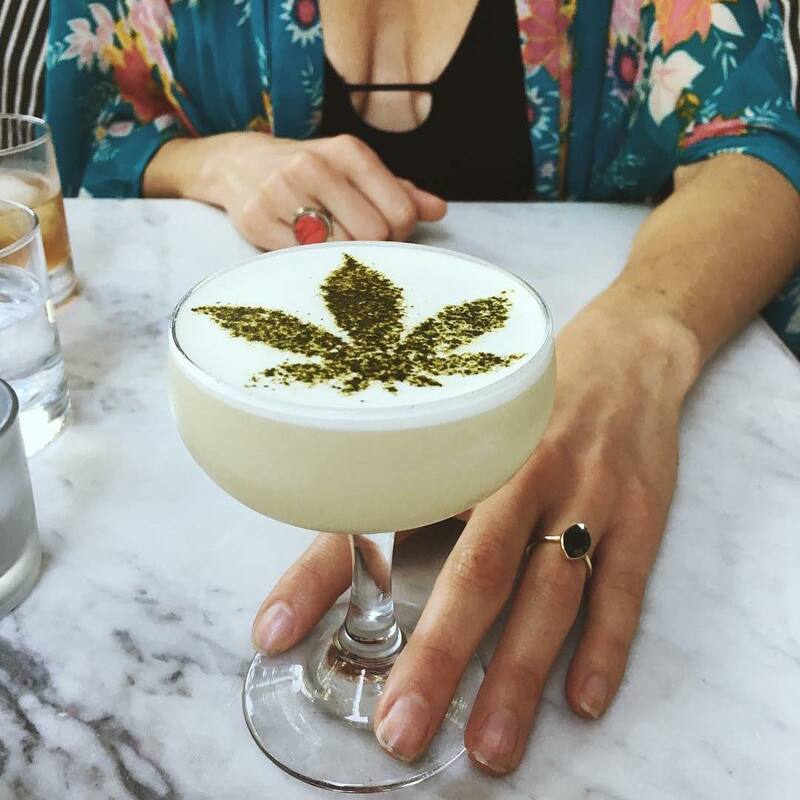 And the piece de resistance is their selection of cannabis-themed CBD infused cocktails. They're non-psychoactive (AKA won't get you high), so have no fear knocking back another Rolled Fashion or Stoney Negroni with your chips and guac. 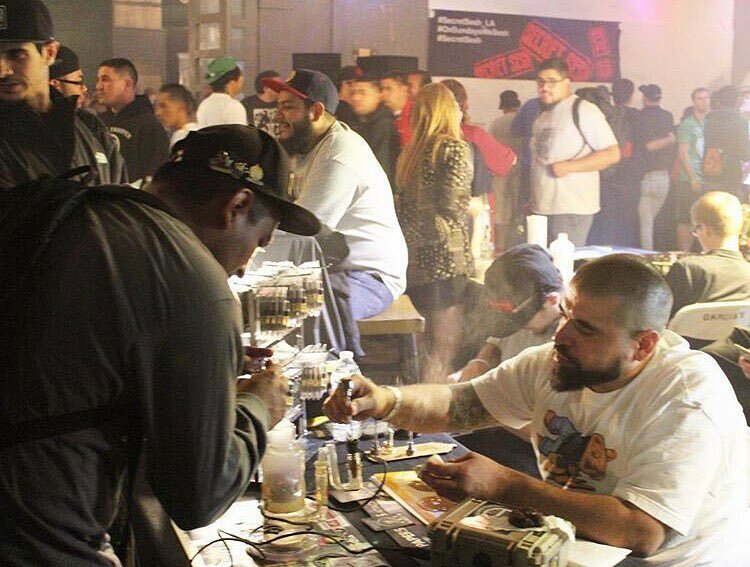 "On Sundays, we sesh," is the mantra has permeated the SoCal cannabis community thanks to one event series, Secret Sesh. It took me years to get on the secret RSVP list, but this year, LA's only weekly cannabis event finally went public with ticket sales, allowing all local stoners a chance to live like Snoop for a night. 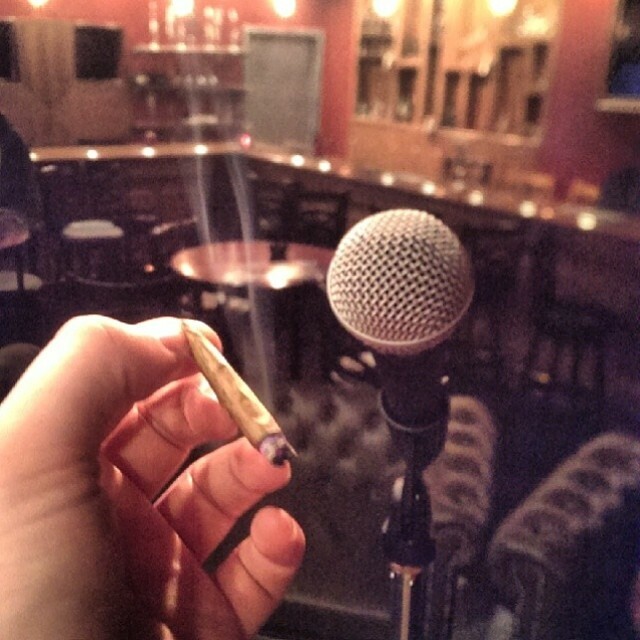 Any date will be blown away upon walking into this live music venue/smoker's lounge that offers unlimited hits of weed and wax until 11 p.m. every Sunday. Pro tip: Don't dab on the first date! No one likes to be couch-locked with a stranger. Would this list be complete without the Venice Boardwalk? 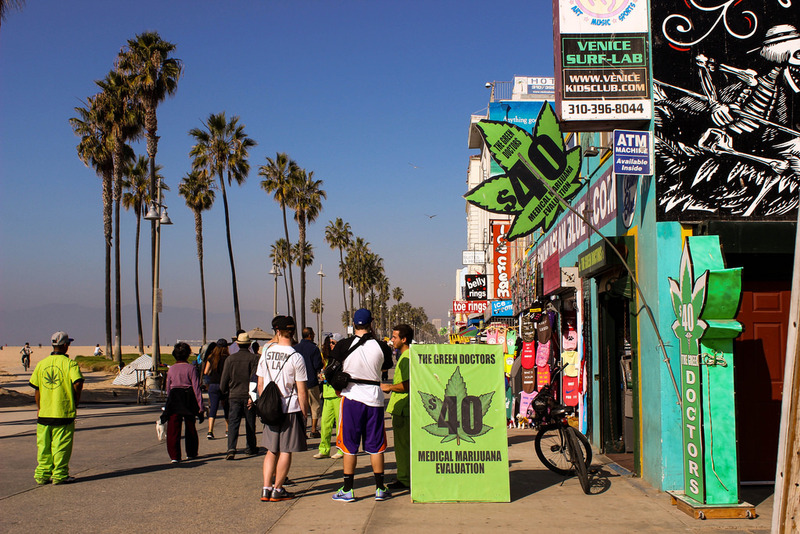 Considered the epicenter of LA's cannabis community, it's easy to spark a joint while perusing the city's largest collection of glass shops, watching skate boarders glide by, and noshing poke bowls with your high hubby. Let the sounds of drum circles and smells of marijuana smoke fill the air for a picturesque sunset sesh. Let's say you scored a date with a true cannaseur, someone who’s been to the High Times Cannabis Cup, is growing a plant in their closet, and knows that a "dab" is more than a dance move. You'll need plans outside of the box. How about plans outside of reality? Welcome to Grassfed's Virtual Reality Elevated events. Known for their cannabis-infused dinners, Grassfed has started hosting VR exhibitions where you can puff, puff and plug in to a 360 virtual world. The events run monthly so don't miss out on your next chance to get high as a kite, then virtually be the kite. Clark Campbell is a Los Angeles local who has worked in the cannabis industry for four years and counting. He believes cannabis legalization could improve every aspect of society and fights for everyone’s right to pursue happiness ... in the form of a flower. Sprawling manicured grounds filled with plants & featuring roaming peacocks & a Queen Anne cottage.